There are many useful resources to assists young and new drivers become safe on the roads. Practice your driving on a daily basis during all types of weather conditions. Completing your 120 hours of on road practice is of great importance and will certainly help you become a more safe driver. Choose a safe and reliable car. Adhere to Vic Roads list of suitable cars for young/new drivers. Try to minimise distractions, this should be practiced by ALL drivers, however while you are new to roads minimising any distractions such as having your friends in the car and having your phone turned on. You should most definitely practice driving at night time, try have a driver who has several years experience along side with you. Do not attempt to drive if you are tired or have not slept for 18 hours. Keep a safe distance between your car and the car in front of you. Under any circumstances you must never speed. Do not drive after taking any substances such as alcohol or drugs. In addition to the above tips there are many resources online four you to take advantage of while learning how to drive, or if you are new to solo driving. Vic Roads have a vast array of publications which you can read and add to your knowledge base. L site (External link) – this site is great! Not only does it have great information, hints and tips, but it also has some fun quizzes to test your progress online. Practice learner permit test – this test allows you to practice your permit test as many times as you wish. This is a great way to ensure you have a great understanding of all the road rules and it uses actual questions you might be faced with on the test. While all the tips provided are valuable to you and your future on the roads, we highly recommend you pay close attention to completing 120 hours on the road. It is of high importance to familiarise yourself with all the obstacles the road and the weather may throw at you. Take advantage of the opportunity to have an experienced driver by your side parting with valuable knowledge for a 120 hours! If you feel like you need more hours of experience, then exceed that amount. The 120 hours is the minimum hours you should spend with a experienced driver, it is certainly not the maximum. Corporate Driver Training Australia has a fantastic new training approach that’s light-years ahead of defensive driving. It’s called Low Risk Driving. The good news is that Low Risk Driving works. 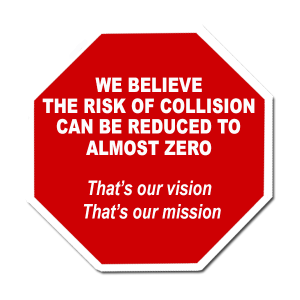 Low Risk Driving delivers safer drivers and fewer crashes. If you are interested in any of our courses, get in touch with us! We would love to hear from you and discuss any questions you might have.